An app is written for the Web. Then, it’s written for Android. Oh, and it needs be written for iOS, too. At the same time. Development teams are essentially tripling their coding and testing efforts to ensure cross-platform coverage. It’s costly. It’s time-consuming. And – this might be the craziest part – it’s uncertain what the shelf life of the code will be. As we know, the future is unwritten. As always, the goal is to be able to implement products more efficiently, and with better testing across platforms. And up to now, every cross-platform coding solution that has come along really hasn’t worked that well. The good news is that there is now a better way. And a proven way. 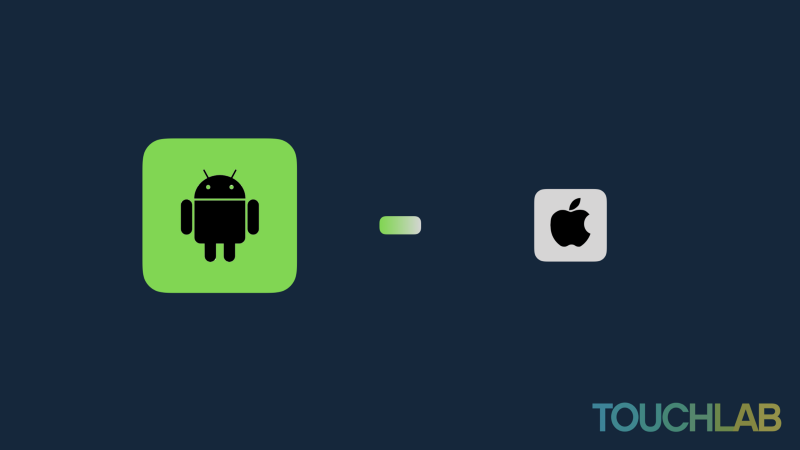 We at Touchlab have been writing code in Kotlin and deploying it to Android and iOS platforms, with no hiccups. That’s why we’ve gone all-in with Kotlin. Kotlin enables you to write once, and test once. No siloed development teams. The same code can be used across Android, iOS and Web apps with no changes, eliminating the need for a translation layer. In essence, you’re reducing the amount of business logic coded by frontend developers by consolidating it efficiently with native code, but not oversimplifying abstractions. No wonder there’s a groundswell of enthusiastic support in developer communities around the world. There are 1.5 million developers currently using Kotlin, with 96,000 GitHub repositories containing 100 million lines of code. And the numbers keep growing. It’s one of the top two languages that developers are hungry to learn. 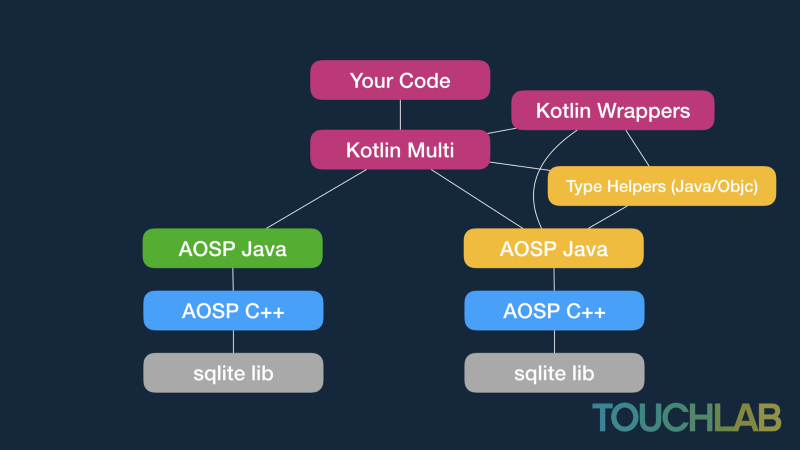 Kotlin was developed as a completely new language eight years ago, built from the ground up as a pragmatic approach to coding – a way to develop cleanly, clearly, and quickly. Simply put, Kotlin is more readable, reusable, interoperable, and safer, offering a first-rate developer experience. More important, it’s a low-risk way to code because it dovetails seamlessly with the native platforms on Java, iOS, and the web. It’s a modern language that enables you to build on what you’ve already coded, without re-working or re-inventing what you already have. Plus, because the code you share is optional, you can start small and increment as desired. Kotlin is really an extension of Java, so it’s not a big leap for Java developers to start using Kotlin at all. In other words, you don’t have to make a big, potentially expensive decision to get started. In fact, on Android, Kotlin was built for direct JVM interoperability. On iOS, Kotlin is ready for prime time, and the first half of 2019 will see rapid mainstream adoption. And Google officially recommends Kotlin as a language of choice. The big considerations for any development team are cost, time, resources, and risk. And the big problem with the siloed approach is that organizations are often tripling them. At the same time, the wrong teams are working on the wrong projects. Back-end developers should focus on architecture as well as APIs – but not UI. Enabling your back-end developers to code and test the client and server features as a unified whole enables more rapid development with safer, higher quality and identical implementation. Our experience with Kotlin so far? No siloed teams. More streamlined workflows. Real cross-platform functionality. I’ve been talking about Kotlin/Native for a little while now, and one of the big things I tell people is that threading will be very different than what they’re used to. It’s just something that you need to learn and understand. Kotlinconf was a couple weeks ago. Progress on Multiplatform was definitely a big topic. A more general discussion surfaced around how Jetbrains and the Kotlin team are thinking about concurrency. 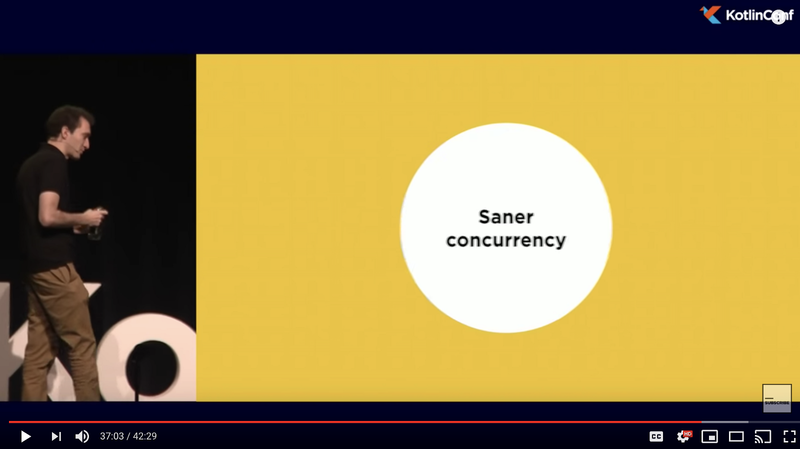 Andrey said in his Keynote that future Kotlin will focus on Saner Concurrency. I think we should unpack this a bit. It is generally accepted that managing concurrency by using mutexes, synchronized blocks, etc (AKA. “manually” or “status quo”), is difficult and error prone. Concurrency in Java, with Java’s concurrency primitives, is difficult. Some languages attempt to improve upon this situation using various approaches. 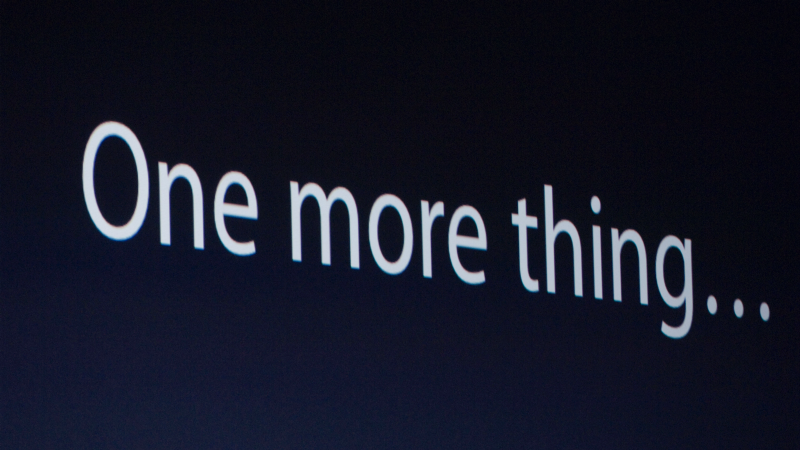 Another point from the keynote I thought was great is that being unique is not important. Assimilating the best ideas of other languages is important (2:40). Kotlin/Native has baked into it some ideas about concurrency that make managing it safer. Andrey alluded to the idea that Kotlin, across variants, will start attempting to tackle “Saner Concurrency”. This is good to watch (37:00) to get a sense of where Kotlin is going, which makes me hopeful that not only will the various incarnations of Kotlin share the same concurrency concepts, but that those concepts will start to emerge as first class parts of the language at compile time rather than strictly runtime (Rust-like?). By “various incarnations” I mean Kotlin-JVM will hopefully start getting some of the “new stuff” Kotlin/Native is getting🚧. One of the consequences of change is that things will be different. We’ll need to learn new ideas, build different libraries, and adopt different ways of coding. That inevitably means resistance and time. I jumped in because, frankly, I had the same concerns earlier on. A few months ago I drafted up a blog post talking about how such a departure will impact adoption and may ultimately derail the effort. Thankfully, like most of my blog posts, I never finished it, and I don’t think that way anymore. Considering it was on stage, at the end of a conference, I think I expressed my thoughts OK, but let me expand a bit here. At the beginning of my talk, I told everybody about how I got there. I’d spent a couple years working on an architectural framework based on J2objc called Doppl. In short, compatible Android structures, lots of familiar libraries, and a gradle tool. Replicating testable mobile architecture across Android and iOS, in a familiar and practical manner. How practical? The day after Google announced room, I got Room working on iOS, from the java source jars, in about 90 minutes. Here’s the thing, though. Nobody cared. I bet more people read this post in the first week than read that post after a year and a half. Obviously these aren’t direct parallels. The Android community wants Kotlin and iOS wants Swift, so pitching a Java/Objc thing isn’t fun (trust me). Community interest is critical, no matter how practical your pitch may be. However, I think it’s also important to have a vision. Kotlin wants to adopt better, safer concurrency practices. They’re making the language available on many platforms, including Webassembly, and making “tough love” choices for a better future platform. I think building something practical but somewhat compromised will make it easier to learn, and definitely easier to develop the library ecosystem necessary to support what currently exists, but it’s also uninspiring. It does not encourage change. In short, yes, I think “giving up” on change would make adoption quicker for an individual iOS developer, but I don’t think it would be appealing to the iOS developer community. Change and new ideas, although they will take more work, are appealing and inspiring, and will ultimately be the best bet at gaining adoption. When somebody says, “Kotlin is just Swift for Android”, this is meaningful pushback. It’s not simply “another language”. 🚧 I didn’t want to derail up top, but one major issue for right now is that JVM and Native do some runtime things fairly differently. That is likely to create confusion early on, especially with teams that have engineers fully on one platform or the other. It would be great if we could run JVM with the same runtime checking as Native, even if just in a debug configuration. If you’ve been following our development of Doppl for the last couple years, we’ve built a Gradle toolset for J2objc, an architectural structure with an Android compatible API, and published a number of popular libraries for that ecosystem. In other words, a full toolset extension of J2objc which allows sharing logic and architecture from Android to iOS. J2objc is a mature, stable technology. If you have an iPhone, you’re more likely to have some J2objc in there than all the other non-HTML frameworks put together. J2objc makes sense not because it lets Java developers publish iOS code. It makes sense because it allows a platform native language produce platform native libraries, with optional code sharing, without any significant barrier or translation layer. We use this framework with current clients, and would absolutely take new projects with it if we have the bandwidth to do so. However, we’re officially out of the Doppl business. 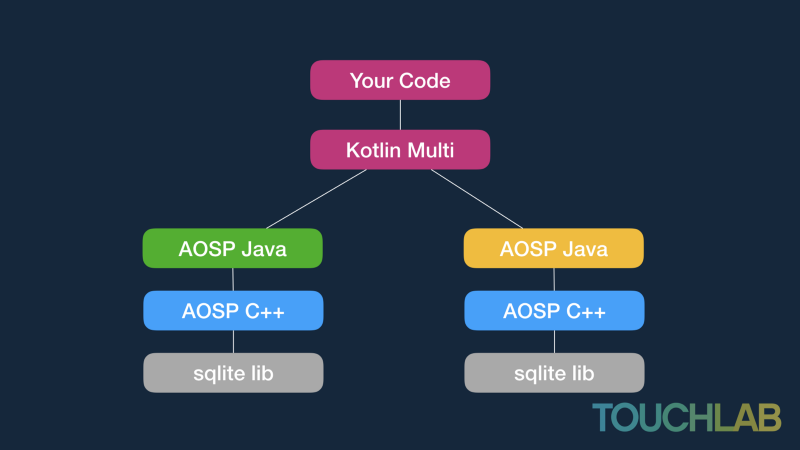 The future of shared code and architecture, as far as we’re concerned, is Kotlin Multiplatform. Some of the reasons we like it are the same as why we like J2objc. Native language, optional sharing, platform compatibility. As of the last few months, all R&D and open source development has been focused on KMP. As of KotlinConf this year (or shortly after) the tooling and libraries will be ready for production work. It is time to burn the ships. To be better open source citizens, and to avoid internal distractions, we’ll be unpublishing Doppl and related libraries. If you’re one of the handful of orgs who use the library, please reach out and we’ll make sure you can access the repos. I want to be clear that this doesn’t mean I think J2objc is bad tech. I still think it’s amazing technology. If you wanted to maximize your shared mobile architecture today, it would be significantly more productive than other options. However, the community excitement around Kotlin Multiplatform is intense. Over the next several months there will be a number of library announcements. It’s also not just for Android/iOS logic, but back end and front end architecture, including native mobile, web with JS, and webassembly. There is a lot of work to be done, but there’s a much wider scope of problems to solve. We are, of course, looking for products and orgs interested in getting started. Also, I’m starting the search for our first Multiplatform specific engineer (besides me). Reach out. It’s a little hard to believe, but this will be year #5 for Droidcon NYC. I’m super biased, but as great as every year has been, the year after seems to be a huge leveling up in terms of event and content quality. That means this year needs to be ridiculous. It’s the 5 year, right? This is a community conference, which means the content comes from the community. We’ve had a lot of great submissions so far, but it’s time to get the word out and make a big push to the end of CFP. Every year we get requests for topics of interest and some guidance for how to submit. The real answer is “whatever the committee votes on”, and what *I* think is interesting is not always what *they* think is interesting, but I’ll make some guesses for 2018. The good part about timing for Droidcon NYC is we get the fresh topics right after I/O. You can submit anything you want, but there are always a few big themes. There have always been a few talks about React Native (or whatever), but this year “multiplatform” has hit the mainstream (or at least people’s desire to talk about it at a native developer conference). We expect several talks, possibly a 1 day track on the topic. Most likely to be of interest are Flutter, Kotlin Multiplatform, or React Native. General topics may also be of interest. Just FYI, the Droidcon NYC app will be updated this year to Kotlin Multiplatform using SQLDelight and whatever other libraries are functional by late August. Android Things is at 1.0! Probably a good topic. A huge pile of things were released and/or rebranded under Jetpack. Clearly lots of stuff in there to talk about. There’s also a whole new Android release to talk about. This thing. TBH, I need to learn about this more. May attend talk. Kotlin was the big news last year, but we’ve had a year to absorb it and release a bunch of new libraries. In that year, Kotlin has been embraced to the point that it’s weird to see a Java slide at an Android event. Probably lots of talks around actually implementing it. Implemented an instant app in production? Using voice assistant stuff? VR/AR? There’s a lot of stuff going on. Droidcon NYC has generally leaned toward more advanced or “deep dive” types of talks, but there will be content for a range of experience levels. If you are interested in a specific topic, I’d personally suggest creating multiple submissions, with different levels experience and specificity. For any topic that is very popular, there will likely be several similar submissions. Last year, for example, had several “Intro to Kotlin” submissions. We’re only likely to pick one, so again, multiple submissions is the best bet. As for how to write a submission, there are a lot of great resources online about this. My only real advice is that there are generally hundreds of submissions, so a catchy title and shorter description will probably work better. The voting process is a lot of work (and much thanks to the selection committee for their efforts). Every year roughly 0 to 2 people submit talks specifically designated as “keynote”. If this is something you’d like to submit for, I highly encourage that you do. Just please put that in your title. As in “Keynote: Android in 2028” or “Keynote: Android S should be Stroopwafel!” We will likely go back to keynotes on both mornings, and possibly something end of day as well, so we will have multiple slots to fill. This year will be in Brooklyn. Greenpoint, specifically, which might sound odd if you’re somewhat familiar with NYC, but if you’ve been in Greenpoint in the last few years, it’s not weird at all. Brooklyn in general and Greenpoint in particular has changed dramatically over the last few years. It is a major part of the NYC tech ecosystem. Plus there’s a big parking lot for food trucks. The talk selection committee details will be solidified in the near future. We expect to have 8–10 folks voting on submissions, with notifications going out 2 weeks after CFP ends. Good Luck! See you in August! Touchlab is hiring. Super cool things happening! This is going to be a multi-part series on threading in Kotlin Native. To build a reasonably functional mutltiplatform implementation, understanding threads is critical. The Kotlin/Native design and the way threads are intended to be used is quite different than what we’re used to in Java land. I’ll be learning this as we go, but as many have pointed out, if you really want to understand something, try explaining it to others. 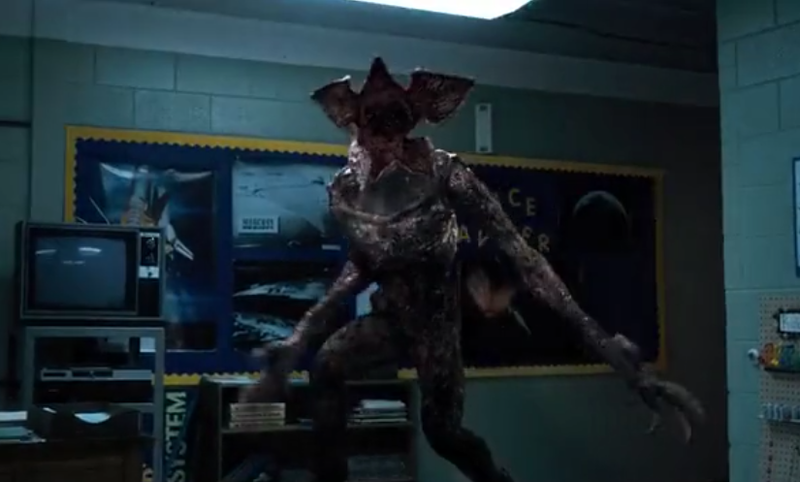 Why Stranger Things theme? KN is opinionated about threading and state. To keep you out of trouble, it creates a world where different threads mostly can’t see each other’s data, and have very little interaction. However, underneath that world is a similar looking, but far more powerful (and potentially dangerous) world where you have access to everything. It’s the Upside Down, basically¹. We won’t be talking about that much right now, but we’ll definitely need to poke around and make some new structures to enable productive app development. You’ll need some kind of test environment to run things in. For now I’d suggest downloading CLion. 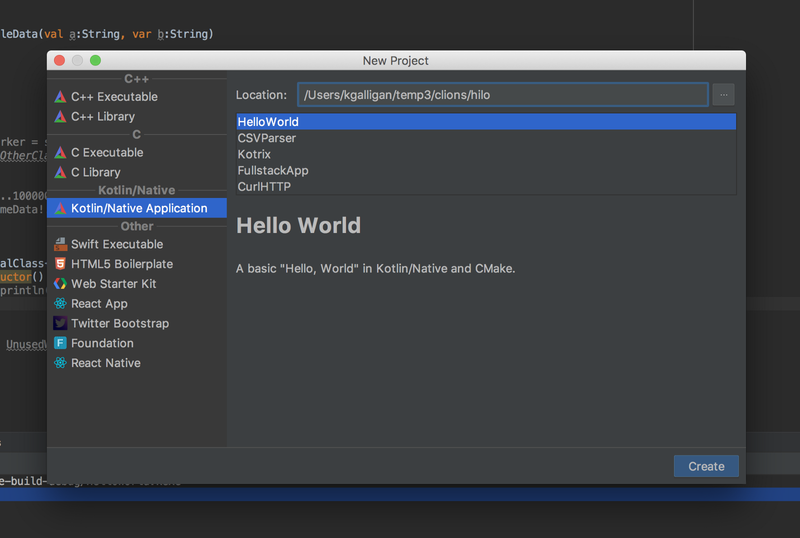 Read this on installing Kotlin/Native support. As mentioned in the beginning, I’m just getting started with this. The same is true of CLion. I hope we’ll be able to do KN in Intellij directly, but CLion appears to be the tool for the bulk of KN and C++ development. That means learning CLANG, at a minimum. Not right away, though. We can poke around for a while without understanding CLANG. To verify everything is working, create a new KN project and use the HelloWorld sample. Hit the play button in the action panel and you should see “Hello, Native World!” printed to console. This is probably a good time to step back and say if you don’t have a pretty decent understanding of how threads work in general, you can run through the samples, but you may be lost often. The intro stuff will probably be useful, but its safe to say we’ll also wind up in the weeds periodically. Will update with good intro resources if I come across them. Anyway, back to KN. Read the CONCURRENCY doc in the KN repo. It explains a lot. Today we’ll go over the basics of Worker, how to pass “hot” data, and what data freezing is. Each thread, including the main thread and each worker, has it’s own copy of state. I’ll repeat this a few times in this post, so if there’s an important takeaway, it’s that. You create workers and pass them jobs to complete. I would imagine there are implementations where this doesn’t correspond to a thread, but right now, for iOS at least, that will boil down to a thread. A worker is a thread with a job queue. Also, remember, it’s own copy of state. Let’s make a worker and have it do something. Call ‘startWoker’ to start a worker. This will create the thread and make it available for jobs. You create jobs with “schedule”. That method takes a TransferMode param, a producer lambda, and the actual job, also as a lambda. Inside the job lambda is the work you actually do. Scheduling returns a Future. You can use this to get the job result inside the calling thread. We call ‘consume’ simply to wait until the job is done. If you’re manually creating workers and leaving that context, shut them down properly with ‘requestTermination’. Let’s dig into each piece in more detail. The worker is a managed resource that you create, and if you’re going to be forgetting about it, you probably want to shut down. That corresponds to two methods: startWorker() and requestTermination(). There’s not much to say about ‘startWorker’, other than it creates a worker queue. ‘requestTermination’ is a little more interesting. By default it’ll finish all jobs in its queue, but you can pass in a boolean ‘false’ to tell it to shut down asap. If you’re creating workers, you should shut them down. If you’re creating a set of workers that are intended to stick around with your app at all times, don’t worry about it. If your process gets killed, so with your threads. The schedule call returns a Future. On that you can check status and get results of the job. ‘consume’ will force your thread to wait for the job to finish, and pass the result of the job into the lambda. In our simple case, we return nothing, so the lambda accepts nothing. 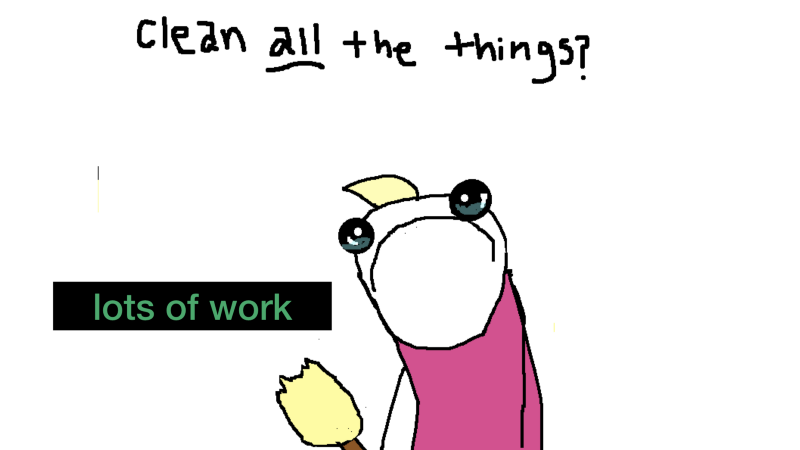 Now that the simple stuff is out of the way, it’s time to look at scheduling work. This is where we need to get very precise. The schedule method takes 3 parameters. TransferMode — Checked or Unchecked. The “safe” option is Checked. Producer lambda — This should return the data that will be passed into your job. Job lambda — This is the “work” that will be run on the different thread. It has a single input param, which is the output of the producer lambda. You can return a value, which can be read by your calling process. The primary complication around all of these parameters is that your data needs to cross between threads. As mentioned, each thread has it’s own state, and isn’t allowed to see others’ state. How can that happen? To stick with the post theme, you’re sending something through the Upside Down and back again. To do that safely, there are some considerations. The goal of how workers interact is to protect state. KN will do some magic to check that the state you’re passing isn’t referenced anywhere else OR that your state is frozen. Frozen is a runtime immutable state that we’ll discuss later. In other words, KN wants to make sure your state is safe. Either nobody else can see it, or nobody can change it (including you). How does it check? That’s an Upside Down topic for a different chapter. This lambda returns an instance of data that is passed into the job lambda. It’s run in the same thread that calls it. Why a lambda you ask? The runtime wants to make super sure you’re not dragging data around. The KN runtime is serious about references. So much so that passing hot data into a worker isn’t necessarily an easy operation. After calling ‘getAndClearGlob’, nothing is pointing at the object originally at ‘glob’. That seems logical! How about this? That will fail. You and I know you’re not doing anything with the reference created inside the method, but KN’s worried about it. I’m reminding you of this again here so I can point out an issue with the sample above. Keeping data at the “global” scope just so you can pass it to a worker is probably not a great design, but because all threads get their own state, the worker will have it’s own copy of ‘glob’ that does nothing but take up space and init/management cycles. That’s super bad. Got bit by that right out of the gate. We’ll probably have a much longer discussion of how to structure “hot” data to get it over the wall to other threads. Here are some other strategies. If you’re following general best practices, the data being passed through threads should be immutable anyway. KN has a special method called ‘freeze’ that makes your data very seriously immutable at a runtime level. Freeze actually modifies metadata flags on runtime objects which tell the runtime that seriously nothing will touch the data. It’s more than just having immutable values. You can now pass that frozen object to multiple threads and reference it from your calling thread. No problem! Common Kotlin has no concept of “freeze”. That’s a minor issue. We should be able to do something with extension functions to get a noop method into common and the JVM. More pressing is that KN and everybody else is going to be different at runtime. Could the concept of freeze be ported to the JVM? Would that be valuable? Questions for another time, and certainly somebody else 😛. A more immediate issue is class design. The SQLDelight demo, for example. SQLiteDatabase and the Helper objects involved all have state that is protected by Java threading constructs. That design is going to need to be rethought. No freeze. Just pass in as TransferMode.UNCHECKED. In this case, probably not a huge deal. The String in SomeData is a val. Nothing is changing anyway. In other, more complex cases, we’ll need to be more careful. I’m looking at this through the lens of shared mobile architecture. That means interacting with the host system. You can’t have a worker for the home thread, so out of the box, you’d need to implement some kind of regular Future checking mechanism. That doesn’t sound great. iOS has thread event queues. That’s how you communicate back to the main thread. In future posts we’ll explore the idea of leveraging the same checks and concepts involved in Worker “transfer” to ensure the data safety and memory management of KN, but actually perform the threading with iOS’s dispatch queues, and be able to post messages back to the main thread. This will almost certainly involve a new library and possibly some PR’s to the KN repo. See how it goes! For multiplatform, we’ll need some Worker-ike interface that can resolve back to Looper/Handler on Android. In JVM, we won’t have the data checking and freeze stuff, so testing is going to have to be robust enough to run likely scenarios and catch data integrity check issues on the iOS side. Or just pass everything unchecked and watch out for this guy. Wrapping iOS dispatch queues instead of “Worker”. Rethinking SQLite and (possibly) SQLDelight design. Listeners watch queries, which pass data base to the main thread (ultimately). In JVM, that data can exist across threads, but not in KN (out of the box). Exploring global state options. You can, but that’s like hanging out near the portal. Enter the Upside Down and poke around a bit. Is looking for orgs that want to get started with Kotlin multiplatform, and hiring mobile developers interested in it. Reach out. A few weeks back I posted a piece about Mobile Oriented Architecture and how I think coding products for screens will evolve. At the end, I said I was keeping an eye out for the Kotlin/Native multiplatform commit. I was. Really. Read the commit emails every morning. Yet somehow I missed the fact that multiplatform was possible. You can build multiplatform projects using Kotlin/Native. I won’t say it’s super productive yet, but you can do it. I gave a talk about it last night, and have some code to share. Kotlin multiplatform for mobile consists of common Kotlin, Kotlin/JVM, and Kotlin/Native. The slide above represents roughly how building multiplatform would look today, from a “how much code are you sharing” perspective. Obviously, the JVM side has a ton of stuff available. On the iOS side, the Native team has wrapped a bunch of resident libraries with the interop, but that’s kind of it. The middle represents what you could theoretically share. Just logic, and to a limited degree (size of that area varies widely according to how much logic, obviously). To be useful, we need libraries. The essential libraries. We don’t need everything currently available on the JVM side, just the critical stuff. Android is a mature ecosystem, which means you have a lot of special purpose stuff. If you open a production Android app and look at the library list, it’ll probably be huge, but if you really looked at it, the list of things critically necessary for shared architecture would be pretty short. All of these need fully Kotlin-ized rewrites. It sounds like a lot of work, but a few things to keep in mind. One of the reasons why the discussion around “cross platform” is broken is we think 2 apps means 2x work. It does not. Product development involves iteration, which involves throwing away a lot of work. You shouldn’t need to do the same on your second platform. Similarly, “smartphone” mobile has a decade of iterating on libraries and best practice ideas. To build a new ecosystem, you can just take the current result of that work and build analogs. It’s non-trivial, but it’s not starting over either. To say a lot of developers like Kotlin would be an understatement. There is intense interest in creating things for Kotlin. Some communication and coordination will be useful, so 10 groups don’t build the same thing (although a little competition doesn’t hurt either). However, I’m predicting as more examples of multiplatform emerge and the tools stabilize, we’ll see a flood of multiplatform libraries emerge. This will pick up roughly end of summer. If you’ve come into Android fairly recently and wanted to do some open source work, you’ll notice it’s pretty crowded. Getting attention can be difficult. This particular field is wide open but very likely to be very active very soon. It is a great time to get involved. A bit of my own background. The last several years have been largely focused on the non-technical side of running a mobile development shop. As such, there has been a bit of open source, but nothing super committed. During early Android, however, there were few libraries and I had a lot more time on my hands. I did not write ORMLite. I did, however, work with the author to make the db interface generic, then implement the Android-ORMLite bridge. It is *very* likely that ORMLite would never have existed on Android, or come much later if that didn’t happen. A lot of apps used it, because, for better or worse, there wasn’t much else available. As long as you don’t make a bad library, you can have a big impact in an early ecosystem, as going from nothing to something moves the needle a lot more than writing something that’s different, but competing with similar things. Anyway, I’m a database nerd. Doppl is a set of libraries built on top of J2objc, to facilitate sharing logic and architecture between Android and iOS. It works, but pitching a Java/Objective-C thing in the time of Kotlin/Swift is difficult. I also think Kotlin multiplatform has a more meaningful future (webassembly FTW). We are using it when the situation dictates, but are internally very much focused on Kotlin. On the plus side, “Doppl” was essentially an implementation of Android architecture on iOS. A lot of similar skills, concepts, and in some cases code, can be used. I think Kotlin Multiplatform needs a “driver level” SQLite implementation. By that I mean something that is at least similar to the Android SQLite implementation, assuming there’s no performance impact. There has been a debate about that implementation since the beginning of Android, and a desire to “fix” it, but I suspect that hasn’t happened yet because it turned out to not be a big enough problem. So I’m not going to try that now. In theory, we have an implementation of Android’s SQLite stack in Doppl/J2objc that can simply be added and typealiased. Once that’s stable and has some solid testing around it, reimplement the J2objc layer in Kotlin. All SQLite code ultimately talks to the shared library ‘sqlite’ that exists pretty much everywhere. 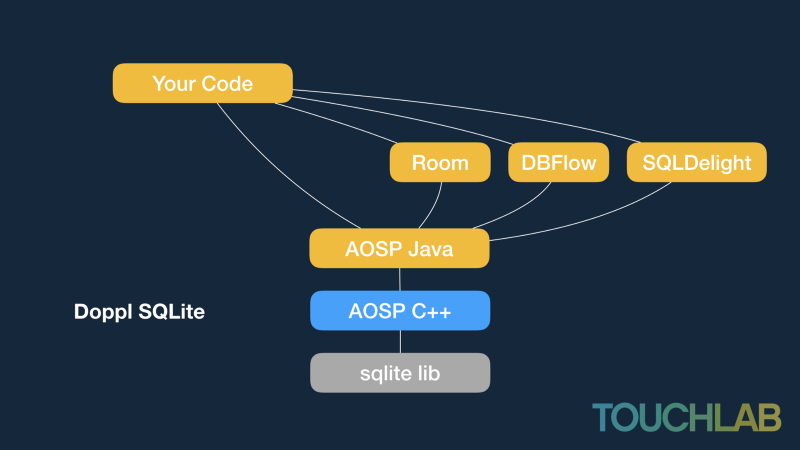 On top of that, AOSP has C++ that provides methods to push/pull data in and out of the sqlite library. On top of that is the Java interface everybody is familiar with, that talks to C++ with JNI. It’s a fair amount of stuff, but conceptually very simple. To replicate this functionality on iOS, we took the ArOSP C++ and Java code. There was some necessary trimming. For C++, it referenced a lot of libraries available to the broader system, which we truncated to reduce package size. For Java, structures that aren’t relevant for iOS were removed (anything for ContentProvider, basically). 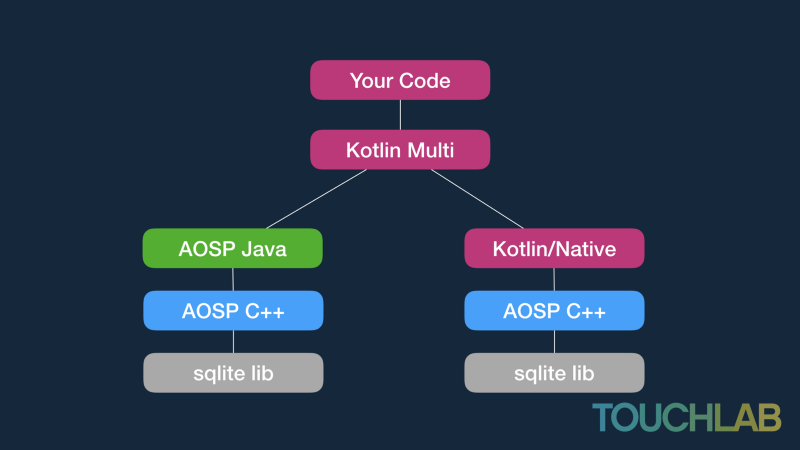 This is conceptually what Kotlin Mobile Multiplatform SQLite looks like. I can tell you from experience that most developers are not excited about Java that gets morphed into Objective-C. I will say this: It’s super stable, and as far as numerical distribution, is probably on more phones than the rest of the “code sharing” solutions combined. However, I find it really hard to get past the weirdness in people’s minds. Beyond that, there are actual mechanical issues. Just adding it means 5–10m extra download size. If you’re using it for lots of your app, that’s acceptable. For a library, not so much. Also, while it comes from Java and in its own ecosystem feels like Java, I would call it the uncanny valley of types. The interface between Kotlin and J2objc requires a lot of little adapters. 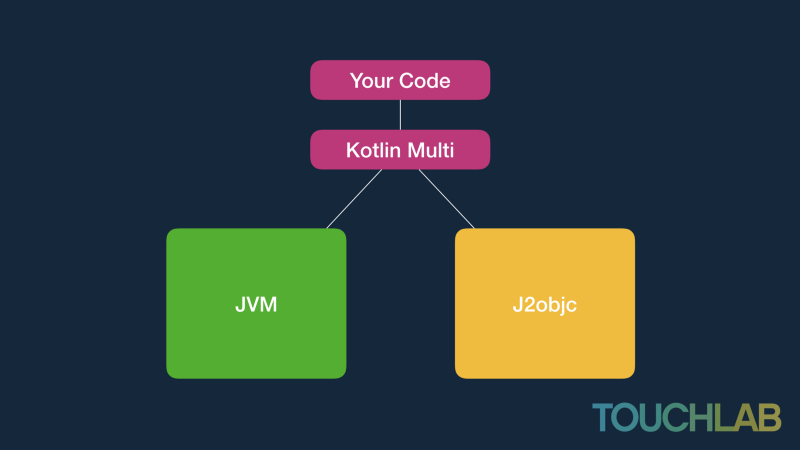 Early on my thinking about how to quickly get Kotlin multiplatform working was to use J2objc as the stand-in for the JVM. It is, quite literally, a Java JRE implemented in Objective-C. However, don’t. Calling into specific APIs is totally doable, but as a generic solution, it really wouldn’t go well. Anyway, the “Wishful Thinking” diagram actually looks like this. This diagram isn’t to scale. The majority of the heavy lifting is in J2objc-land, but compared to the simplicity of the Android side, there’s a lot of adapters and delegates going on. Over the next few weeks, the plan is to reduce that down by writing Kotlin that talks directly to the C++. Something like this. For today, though, the implementation we have works. I don’t think there’s a significant performance impact, if only because we’re ultimately pushing something to disk, so a couple extra function calls aren’t going to do much. The big talk “reveal” is that I wasn’t going to actually demo SQLite. I’ve been chatting with Alec Strong about SQLDelight and it’s Kotlinization. As it turns out, he’s been rewriting the output to generate Kotlin, and not just JVM Kotlin. Common Kotlin. They don’t have a Sqlite interface to run it on, and that’s what I’m working on. The Kotlin output on SQLDelight is pretty amazing, and the separation of a driver interface will allow SQLDelight to be run in non-Android contexts pretty easily. On the SQLDelight side, I only had to change one thing. SqlPreparedStatement bindLong and bindDouble use ‘long’ and ‘double’ as their parameter names, which blew up in Swift. That’s a Kotlin/Native framework generator fix (either escape or fail upstream), but I just did a workaround to get through the day. The Kotlin/Native compiler, AFAIK, doesn’t have a package manager and needs source to build, so I just grabbed the runtime code for SQLDelight and threw it into the driver build. This works, but SQLDelight with Kotlin is in SNAPSHOT mode and under heavy development. I blew up the demo 2 hours before start by doing a clean build. So, there’s a good chance this won’t compile when you try it. I’ll add a version that doesn’t depend on remote code soon, but flying out to I/O in the morning, so unlikely till the following week. Steps in README. Sample was taken from Kotlin/Native calculator. The demo is open source now. We want to do some more work on the driver code before opening that. Kotlin/Native is *very* different with regards to threads, and the SQLite Android code does some thread management internally. That needs a think. It’s not that bad, but you can’t just take the same logic and move it over. Also, a more complete testing strategy needs to be implemented. It’s first priority after I/O. 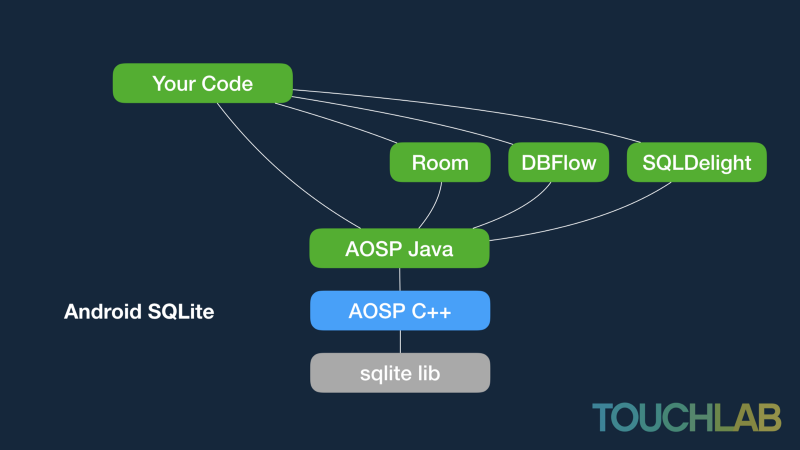 Whether *this* Sqlite library is what ultimately gets used for SQLDelight on iOS, or if somebody releases something more purpose-built, is less clear, but see up top about a little competition. I’m making some predictions, which is always a bad idea, but here goes. Late-summer: Several good examples and usable libraries. My goal is to have Droidcon NYC’s app be fully Kotlin shared architecture. KotlinConf 2018: I’ll just assume JetBrains is going to push hard to have something really solid by then. If only a psychological milestone. Mid-2019: Mainstream. I have no idea of actual adoption, but if you want to share a bunch of code on mobile, the tools, and at least the critical libraries will be available. We (Touchlab) are very much looking for orgs that want to get started asap with Multiplatform. We also build apps without the fancy shared code. If interested please reach out. We are also hiring. Mostly right now that’s standard app work, but if you are interested in Kotlin and Multiplatform, this is a great place to be.